The Editors’ Choice Awards (we affectionately call them the Eddys) recognize our favorite products released during the past year (from November 1, 2010 to November 1, 2011). It’s a task we take very seriously; starting with a list of over 130 candidates, we spend weeks discussing each product, debate its merits, and whether it fulfills our standards of quality, utility, innovation, value, and excellence. 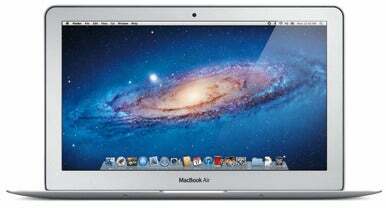 The MacBook Air has come a long way since its introduction in 2008. Once thought of as an underpowered and overpriced laptop, the MacBook Air has evolved into a machine that strikes the perfect blend of portability and processing power. The 11-inch MacBook Air ( ) is Apple’s smallest laptop, but it might have had the most impact on the company’s Mac lineup. The 2011 11-inch MacBook Air features an Intel Core i5 processor that’s more than capable of handling every task, as well as a few heavy-duty ones. The key feature, however, is its implementation of Thunderbolt, a new high-speed technology for connecting peripherals. Thunderbolt allows you to use Thunderbolt displays, RAID arrays, and other devices with the MacBook Air. You can also use FireWire, USB 3.0, and eSATA devices if you have the proper adapter. Thunderbolt alleviates the USB 2.0 restriction on the MacBook Air, making it a much more appealing computer. AirTunes, Apple’s technology for wirelessly streaming iTunes audio from your computer to an AirPort Express, debuted back in 2004. It had a devoted following, but it wasn’t until Apple overhauled AirTunes in the fall of 2010, renamed it AirPlay and incorporated it into iTunes 10 and iOS 4.2, that the technology started catching on with a wider audience. 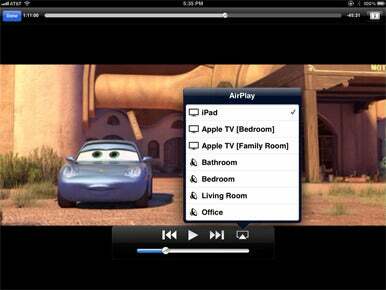 That’s because instead of being limited to streaming audio from iTunes to an AirPort Express or Apple TV, AirPlay lets you stream from iTunes or any AirPlay-compatible app to any AirPlay-enabled device, which includes a growing number of speaker systems and AV receivers. For years, we’ve had the Big Three launcher utilities: LaunchBar ( ), Butler ( ), and Quicksilver ( ). 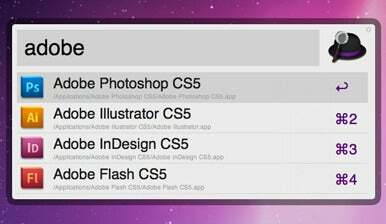 All three let you launch apps, open files, and perform other Mac tasks with a few quick keystrokes. This year, a fourth launcher came into its own—and some of us like it best of all. Alfred ( ), from Running with Crayons, may not have all the bells and whistles those others do, but it’s way easier to use. As soon as you install it, Alfred (which recently came out of beta and version 1.0 is out) can find and launch any app or file on your system (assuming Spotlight has indexed it). And if you add the optional Powerpack ($18), it can do a whole lot more: show you lists of recent documents for specific apps, recall snippets from your clipboard, set global hotkeys for apps and files, and more. There’s certainly no shortage of DSLR cameras, but it’s not always easy to find one that rises above the rest. 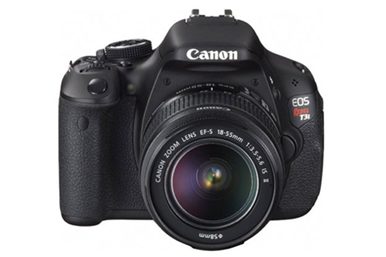 But when it comes to the Canon EOS Rebel T3i ( ), there’s no denying that it’s at the top of its class. For one, it captures impressive images and videos, and scored the highest marks in image quality out of all the DSLRs we reviewed this year. Noteworthy features don’t stop there—the 18-megapixel camera boasts full HD video recording, wireless flash control, nine auto-focus points, 3.7 fps, the ability to set the maximum speed for Auto ISO, and more. 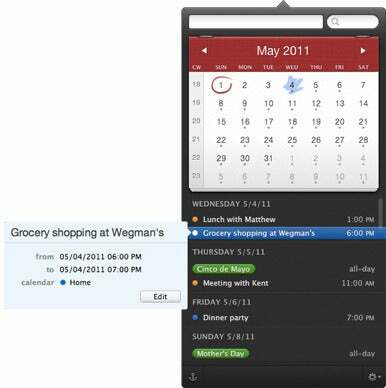 There are a number of Mac utilities that offer a drop-down calendar in the menu bar; or that provide a quick look at your upcoming schedule; or that let you create new calendar events without having to open iCal. But Fantastical ( ) from Flexibits is unique in that it provides all these features and more in a beautifully designed package that for many people can completely replace a full-blown calendar program such as iCal ( ). With all the buzz surrounding HTML 5 over the last couple of years, relatively little of it centers on how to actually create animated, interactive content to run on desktop computers, laptops, and mobile devices. Hype ( ), a designer-friendly authoring tool created by two former Apple engineers, offers an abundance of tools in an easy-to-use iWork style interface that generates such content without coding. Hype’s headline feature is its keyframe animation system. To animate an element, you select one or more of its properties, add start and stop keyframes to Hype’s timeline, and create different states at each point. Hype then creates the tween frames. Or you can use the program to record your activity on the canvas, and automatically generate the animation. You can also create classic rollover effects and behaviors and test them in multiple browsers. An Inkling textbook on an iPad. Reading books on the iPad is nothing new. We’ve got iBooks, the Kindle app, and who-knows-how-many PDF readers. But one app shows you what reading on the iPad should be like. 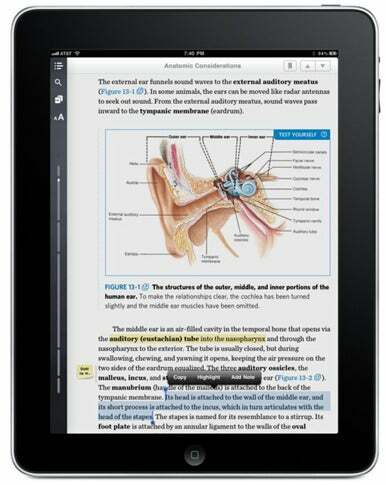 Inkling licenses textbooks from traditional publishers then adapts the content for the iPad. But those adaptations aren’t just replicas of the print original. Rather, the texts are completely revamped to take advantage of what the tablet can do. For example, there are no pages as such. Chapters are broken down into “cards,” which scroll continuously up and down the screen. Within those cards, static illustrations are augmented by interactive multimedia—full audio and video, of course, but also animated diagrams and rotating wireframes you can examine from every angle. In just four years, iOS has gone from running on a single Apple device to powering a whole line-up of hardware, and the most recent version is the most capable, full-featured offering yet. While plenty of virtual ink has been spilled on iOS 5 ( ), it’s worth repeating that this major release is what turns Apple’s mobile devices from “accessories” into fully functional computers in their own right. Among the improvements iOS 5 brought us were a revamped notification system, which not only helped solve years of frustration, but also helped take away a key advantage of rivals like Android; iMessage, which seems poised to give cell carriers what for; and a whole host of features that free us from the tether of our USB cables: over the air software updates, Wi-Fi syncing, and improved controls for managing our media without the need to resort to a computer. And that’s before we even mention iOS 5’s integration with Apple’s free iCloud service. At the time of its release, the iPad 2 ( ) had a daunting task ahead of it. It followed the original iPad, the “the most successful consumer product ever launched,” according to Steve Jobs. The iPad 2 also entered a tablet market with Android-based competitors that didn’t exist when the original iPad made its debut. Fortunately, the iPad 2 was able to continue the momentum set by the original iPad, and help Apple capture a vast majority of the tablet market. With a new dual-core A5 processor and improved graphics, the iPad 2 is noticeably faster than its predecessor. A pair of new cameras allows iPad 2 users to make FaceTime calls, as well as use the iPad 2 to take photos and shoot 720p video. Apple also improved the support for HDTVs and HD video; with the proper adapter, the iPad 2 outputs HD video at resolutions up to 1080p, as well as Dolby Digital surround sound. All these new features in a device that’s actually thinner and lighter than the original. The Apogee Jam ( ) is a simple to use, high quality guitar interface that works with your iOS devices as well as your Mac. A little bigger than a Bic cigarette lighter, the Jam has a clean and simple design. A 1/4-inch input on the bottom lets you connect your electric guitar or bass using a standard instrument cable. A connector on the top allows you to connect one of two included cables: a 1 meter USB 2.0 cable that connects to your Mac or a 0.5 meter cable that fits into your iPhone or iPad’s dock connector. Most other iOS guitar interfaces use the headphone jack to connect, but the dock connector provides a cleaner signal with less unwanted noise. The Jam also includes a gain slider, that lets you easily adjust your input level, while a small multicolor LED flashes red if your level is too high. The Jam is bus-powered, so no battery or external power is required. Jambox ( ) by Jawbone starts out by looking great. It’s small, colorful, and sturdy—the rubber casing makes you comfortable tossing the device in your bag. But as good as this portable Bluetooth speaker looks, it sounds even better. Whether you pair the Jambox with your iPhone, iPad, or Mac, you’ll get room-filling sound that’s all the more impressive when you consider the device’s size: just 6 inches wide, 2.2 inches deep, and 1.6 inches tall. And because Jawbone lets you update the Jambox’s software over USB, a good thing keeps getting better.